The Main Idea #1: Union strategy in the West centered on control of the Mississippi River. 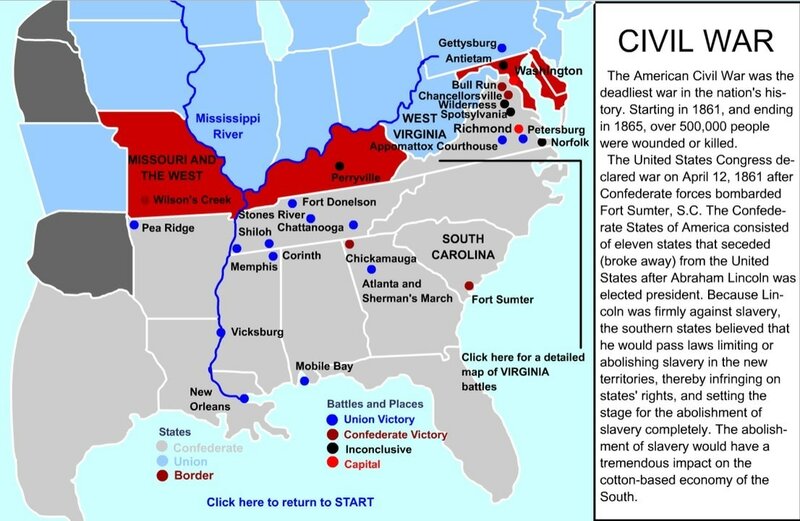 The Main Idea #2: Confederate and Union troops struggled for dominance in the Far West. -> Students will analyze the major battles in the West and at sea by completing a graphic organizer. Log onto Peardeck for the Section 3 Notes. Shiloh- The bloody Battle of Shiloh was a huge victory for Union forces under Ulysses S. Grant in the Western Theater. 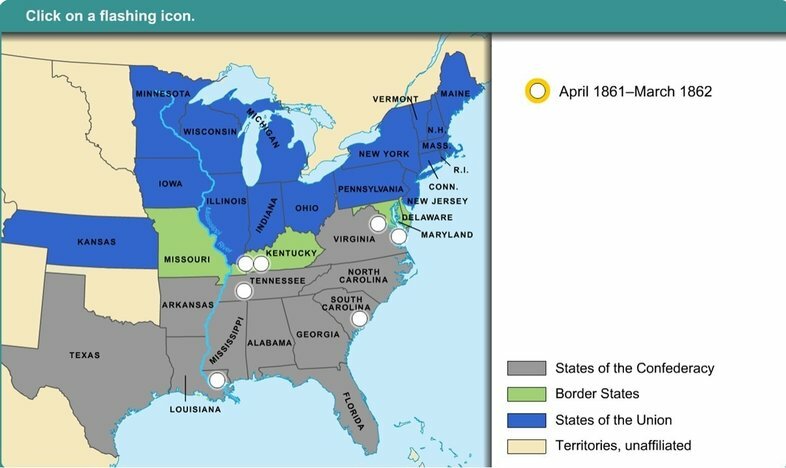 As a result of the battle, western Tennessee, northern Mississippi, and a section of the Mississippi River fell into Union hands. Stones River- The Union victory at Stones River in resulted in its control of middle Tennessee including Nashville. Vicksburg- The monumental siege at Vicksburg will ultimately result in the city’s surrender on July 4th, 1863, and total control of the Mississippi River for Union forces. NY Draft Riots- These riots were the deadliest in American history. Chickamauga- This violent battle was the second deadliest in entire war, and the deadliest in the Western Theater. The Confederate victory here was short-lived. Within a month, Union forces would break the siege at Chattanooga. Chattanooga- The Battles at Chattanooga served as redemption for Union forces after their defeat at Chickamauga. After the Battle of Chattanooga, Union forces could penetrate the heart of Georgia. Sherman’s March to the Sea- Led by William Tecumseh Sherman, the "march" was designed to break the will of the Southern people. See if you can complete the activity with a 100!